You're doing sterling work with this project Richard. I've been glued to all the build progress and photos since the start and it's been extremely interesting. Not least because the Moebius Skipjack I ordered lst March arrived on Christmas Eve! British wholesalers are sometimes optimistic when they quote delivery dates! I have opened the box to have a gander and the quality of the kit looks superb as you have said but I think it will be a while before I get started because I am in the process of committing sacrilege and scratch building a model of Leonardo da Vinci's paddler and I really must get that finished before Paddler Day in Darlington this summer. After all I had hoped to have it there for 2012! Well, thank you Andrew, your kind words are much appreciated. It is a very good kit, I was pleasantly surprised when I opened the box to see the amount of detail on the deck, it really is very good. As for the fitting out..I too looked at the various offerings from America, but the cost frightened me off...by the time you've bought the fittings kit and the module, you're saying goodbye to a lot of money. When Ron stepped in and offered to design and build a module for me, for a fraction of the price that our American cousins would charge, I nearly broke his arms grabbing it. I have the module and everything needed to fit the boat out and make it operational (all bought brand new) and I've still spent less than buying from the States. And a plus factor is that Ron is only a phone call away should I need advice on anything...another large plus is that Ron has offered to put me up for a weekend and assist me in getting the boat trimmed and ready to go (he has a small swimming pool in his garden) now that wouldn't happen if I'd have bought the American parts. It's taking me a long time to get things done due to my health problems, but I'm in no rush, and it's proving to be an interesting build...not only the building of the kit, but working out how to build it whilst trying to persuade my hands and fingers to do what I want them to do! 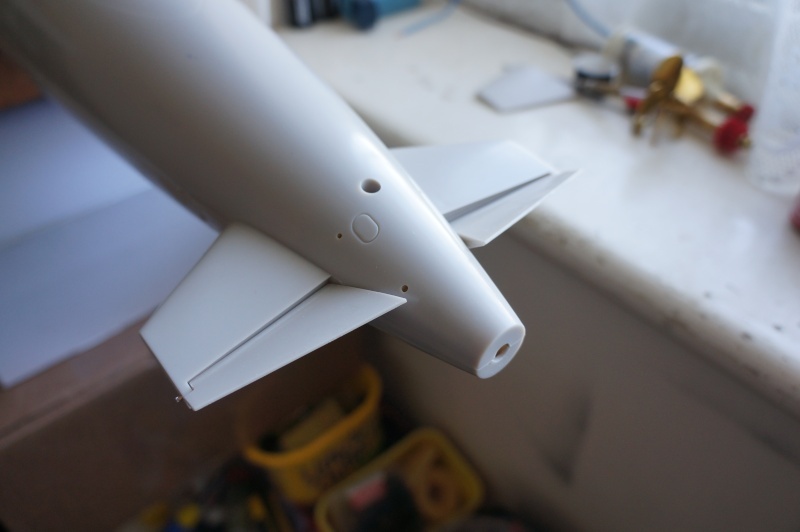 My fingers decided I needed a change from installing the electronics in the module, so I made a start on the rear dive planes...two and a half hours of pure frustration later, this is as far as I've got. One advantage of not sleeping much is that I can get a bit of modelling time in during the small hours. 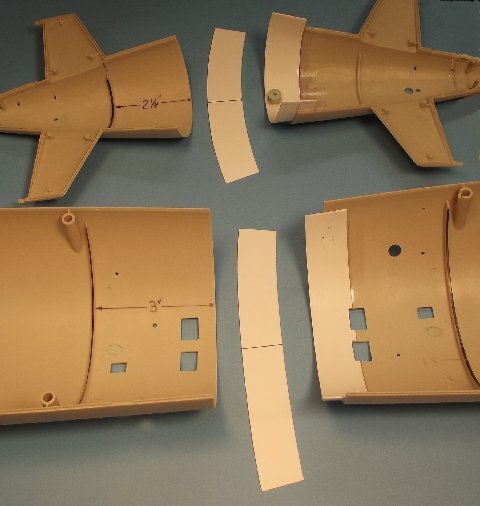 This is the layout of the rear dive 'planes, still some more sanding to do on the leading edges to get them to turn smoothly, but I'm getting there. 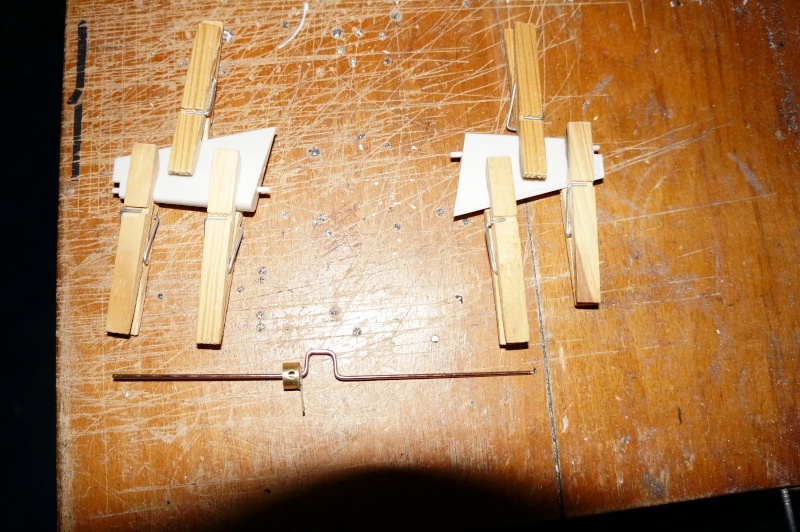 Job done...45 minutes of filing and sanding and swearing, the rear planes now move as smoothly as I can get them too. And this is the result of all that filing and sanding and swearing...both 'planes revolve through 45* without any binding. I'm pleased with my efforts..
Next job is mark and cut the tail cone away from the deck section, ready for it's permanent fixing. Only one chance of getting it right, so great care will be needed...measure once, measure again, check measurements...measure once more then cut. Have a word with our tame electronics guru, John Robinson..he's your man when it comes to converting 35mHz radios to 40mhz. I used to have seven 40mHz radios at one time, but now I've condensed down to just two...my Robbe F-14 which is set up for the Neptune, and a Futaba T7CP computer radio which primarily is going to be installed in the Skipjack, but I can use it in more or less anything. I find the F-14 is ideal for me with my fingers and hands, and having it in a Robbe tx tray makes it even better, I have somewhere to rest my hands which is good. Also the F-14 has two slider controls, which is ideal for ballast tank control...one day when my pension provider allows me to, I'd like to upgrade to the more up to date F-28 series, but for the moment, I'm quite happy with the one I have. You're right about this dammed RA, it drives me mad sometimes...I've had two heart attacks, so I know about pain, but the pain that RA gives is ten times worse. But, there's plenty a lot worse off than me, so like your nan, I just plod on and do what I can when I can. It slows the modelling down though, which is the ultimate in frustration! Talk about heart in the mouth time...it's a strange feeling taking a saw to your pride and joy. But, it has to be done...and it is done. Much measuring, checking the measuring and measuring the measuring, I took the razor saw to the top deck and cut the rear cone off. To my surprise, it worked out very well, and even more surprising, it fits back together. 40Mhz plug in TX modules - keep an eye on Ebay. I got one for my Futaba that way. 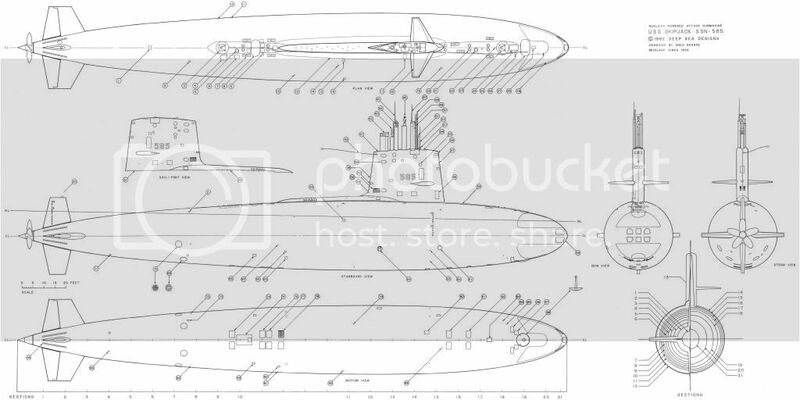 It could be a nice cheap way to get a decent radio..there are some superb radio sets out there on 35mhz just begging to be converted to 40mhz and used by us submariners. Look at some of those Robbe/Futaba helicopter radios...eight/nine channels, rotary switches, slider switches, variable rate adjustments on several channels, multiple position flick switches...the list is endless. Then consider what you could do with all those functions...limited only by your imagination. Excellent Geof, nice radio for silly price. HiTex rx's don't work particularly well with Futaba tx's, or mine never did. Get a Corona rx from HobbyKing...less than a tenner, and they work great. 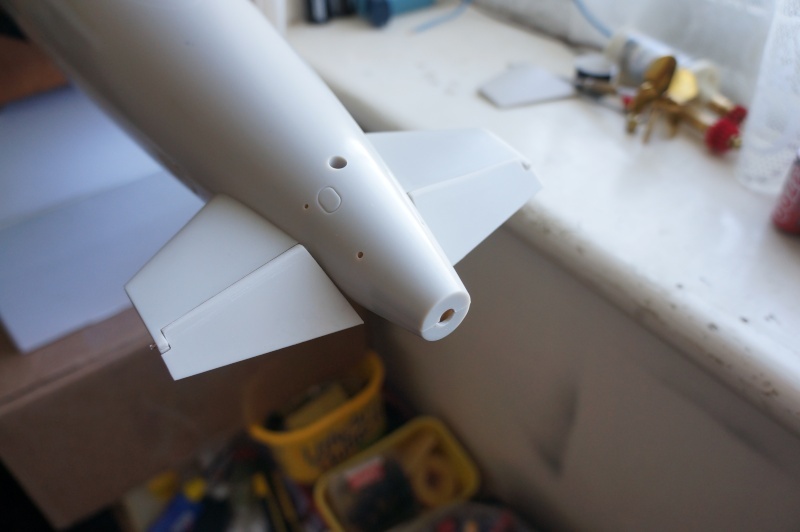 Anyway, back to the build log...haven't been able to do much today, but during a brief moment of finger/brain cooperation, I have started on the rudder construction. 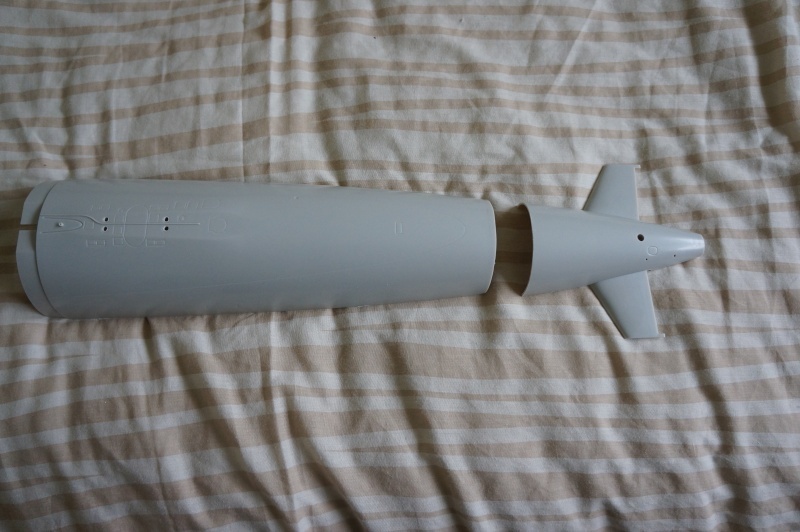 I've glued both halves together, redrilled it for a stronger rudder shaft, and made a start on the rudder tube and the rudder arm. Of course Marius..the small item you have marked out in the first picture is the main power on/off switch. 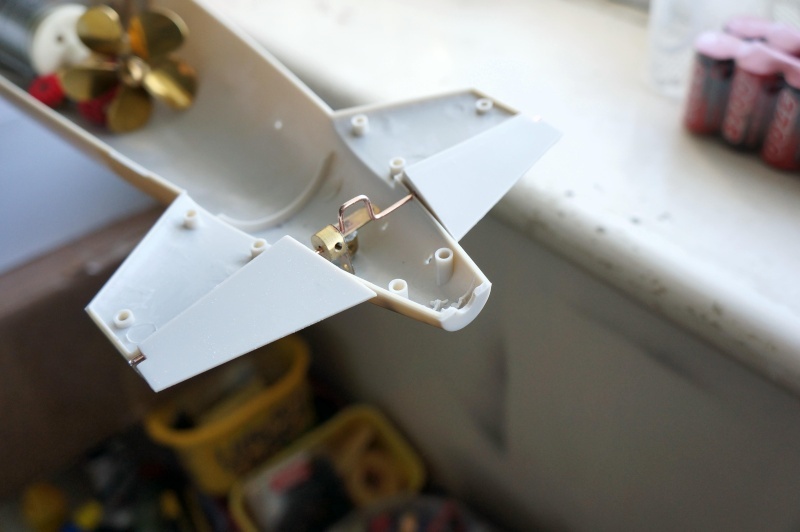 It's activated by a brass rod which passes through a watertight connector, to switch the power on you simply push the rod in, to switch the power off you just pull the rod. Very simple and very easy to use. The second picture...the motor is one of the two piston tank motors, and other item is the switcher unit for the piston tank motors. It's operated by one servo...push the tx stick one way to flood the tanks, push the tx stick the other way to empty the tanks. It's basically a turned brass cam which activates a bank of microswitches, and as I mentioned before, servo driven. Again, very simple and very easy to maintain. Following advice from my doctor (and allowing common sense to prevail) I've decided to put the Skipjack build on hold for a short while, and let this new medication do it's job. All the time I'm fiddling about and working my fingers, the medication can't relax the muscles as it should do, so until the stuff has done it's job, the Skipjack is on temporary hold. Should have added I'm due in hospital in a month's time to get sorted out, so finger crossed I can crack on soon afterwards. Thanks mate, I'll be keeping my finger crossed...I'm bored stiff already with daytime tv. I Hope from all my hearth to be able soon to enchant us with your subs. Thank you for those kind words, Marius...very kind of you.